This article shows you how to install Kodi on Raspberry Pi 3 or Raspberry Pi 2. We show you the cost, the pros & cons, the Top 10 Raspberry Pi 2 uses, and even how to install Kodi on RPi 2. To install Kodi on RaspberryPi 2, simply extract the PINN zip file (free – download from GitHub) to a blank MicroSD card and boot up your RPi 2. Then select “OpenELEC” from the main menu and let it download and install OpenELEC (aka KODI) onto your RPi. Voila! CanaKit is one of the oldest retailers of RPis. Adafruit is another strong seller. Amazon carries plenty of Raspberry Pi units. They may or may not carry “older” Raspberry Pi’s, but there’s only 1 way to find out: look for yourself. Not as powerful as Raspberry Pi 3, which is powerful enough to run Nintendo 64 emulators or even full-featured operating systems like Ubuntu Linux desktop edition. The Raspberry Pi is essentially a computer. It might not be as powerful as your laptop or desktop computer, but it essentially makes up for it in size. The Raspberry Pi has the size of a credit card and its purpose is simple: helping people to learn how to code, in a very cost-effective way. There are 4 different versions of the Raspberry Pi, including the Zero, the 1, the 2 and the 3. They’re all priced at around 35 dollars (with the exceptions of the Zero at $5 and premium kits, which are slightly more expensive, although they feature a wider variety of content). 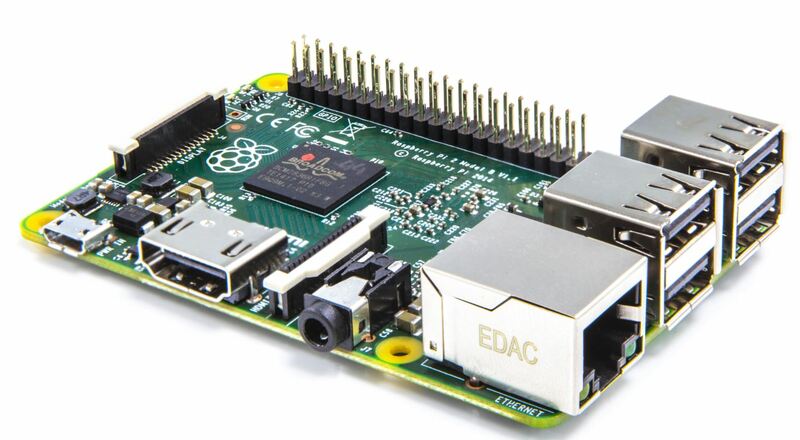 The Raspberry Pi is cost effective and very basic, but it offers a ton of features. With RPi you get more functionalities and possibilities than what you would expect from its limited size and really simple interface. One of the most common “hacks” that people do with their Raspberry Pi is to use this tiny and affordable computer as a way to add web browsing capability to their TVs, since it can easily be used to connect to the internet and to any television screen with an A/V out. Some people even connect their Raspberry Pis to various external devices, including printers. One common use for Raspberry Pi is to use it as a “server” for external storage drives (hard drives!). So, yes – you can turn these devices into a cool home network. Another really cool thing is that Raspberry Pis can also be used as WiFi range extenders. This helps your Wi-Fi signal become stronger and more reliable in your home or business. This is not the easiest configuration to setup and it requires a bit of tweaking, but it is certainly an amazing possibility…one of the many offered by this wonderful device!